Hyundai’s future product map exposed! In the global automotive scene, manufacturers come and go all the time. Did you know that Hyundai is the only company that has entered the list of the top 10 global manufacturers in the last decade? The key reason for the success is Hyundai constantly kept re-inventing themselves and brought something new on the table with each generation. More importantly, they kept flooding the market with a constant the flow of new products, kept trying in segments where they failed. TheKoreanCarBlog now gives us an inside look at what Hyundai has in store for us in the next three years. Accent/Verna: The Verna was launched very recently. Hyundai has planned no major changes until a replacement model arrives in 2016. The Verna will be customized based on the market it is selling in. Elantra: The Elantra was recently launched in India and if speculations are true then it has already garnered 750 bookings in India. The Elantra sedan will be facelifted in late 2013 for the 2014. It will also be available in a more powerful 2.0-liter petrol engine complementing the current 1.8-liter option. Sonata: A re-designed Sonata is planned for the 2015. It will feature a new ‘fluidic precision’ design philosophy, a mature version of the Fluidic Sculpture. It will be less extrovert and more subtle. Hyundai is also working on the powertrain of the Sonata to acquire better mileage. Santa Fe: The Santa Fe was recently redesigned with the new ‘Storm Edge’ design language. It will be available in 5 and 7 seat configuration. The seven seater will replace the aging Veracruz. Under the hood of the Santa Fe seven-passenger edition is a 290-hp, 3.3-liter V-6 engine with direct injection. Tucson: While the Tucson was pulled out from the Indian market a long while back, we believe that there is something cooking in Hyundai India’s office to either bring a modified Tucson or a mini SUV along the same lines. The compact crossover will get a new grille and fascia in 2013 for the 2014 model year. A more aggressive facelift is planned for the 2015 model year. 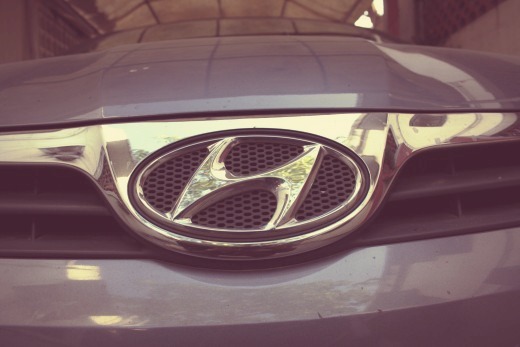 Of course, we have not covered every Hyundai model in this blog post. If you want to know more about the future of other Hyundai products such as Genesis, Veloster, Equus, etc, head to TheKoreanCarBlog right away!